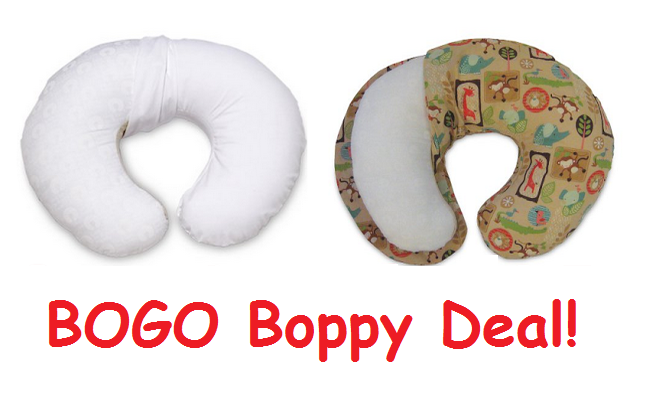 Need a Boppy? Right now at Amazon, you can get a FREE slipcover from Amazon when you buy a Boppy Bare Naked Nursing Pillow :) There are MANY styles to choose from. These make AWESOME gift for new parents. To get the deal, simply add a Bare Naked Boppy Nursing Pillow and Positioner to your cart for $29.97 and choose any of the cute slipcovers listed HERE. The price of the slipcover will automatically deduct during checkout and you'll get both for under $30! I loved the Boppy for my son's feedings, tummy time, and as he was learning to sit. This water resistent cover helped protect it so I could pass it along to new moms in my circle of friends!